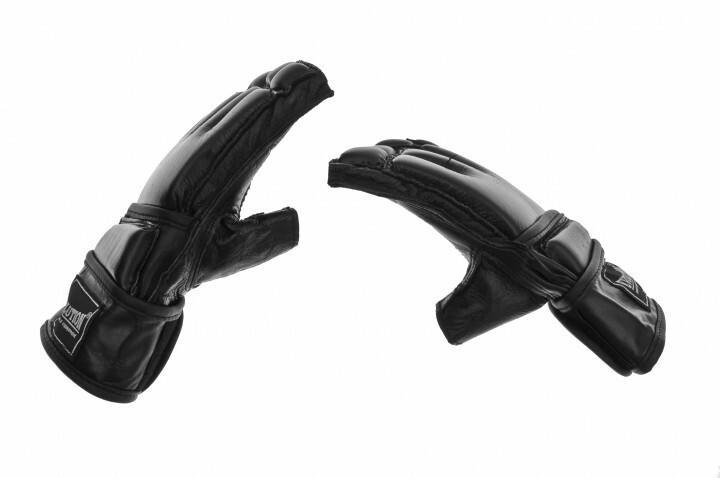 MMA gloves Made of with high quality natural leather (Mignon). Very well profiled. High cuff with Velcro fastener. Material: leather natural, fill: high density foam.